Tuberous sclerosis is a rare disease that causes tumors, or growths, in the brain and other organs. These growths can occur in the skin, kidneys, eyes, heart, or lungs. They are usually benign (non-cancerous). The first signs of tuberous sclerosis may occur at birth. Other people develop symptoms over time. Some of the first signs are seizures and spots on the skin. Some people who have tuberous sclerosis may have learning problems or seizures that are hard to control. Tuberous sclerosis affects every 1 in 6,000 newborns in the United States. The disorder occurs in both boys and girls and in people of all races and ethnic groups. Your doctor may suspect tuberous sclerosis if your baby has a condition called cardiac rhabdomyomas (benign heart tumors) at birth. Another sign in infants is to have seizures, especially a kind of seizure called infantile spasms. The symptoms of tuberous sclerosis are different for different people. Some people may have mild symptoms. They have normal intelligence and don’t have seizures. Others may have intellectual disabilities and seizures that are hard to control. Tuberous sclerosis is a genetic condition. Changes (or mutations) in either the TSC1 or TSC2 gene cause the disease. Because it is genetic, it can be passed from a parent to a child, or inherited. If one parent has tuberous sclerosis, every child born to that parent has a 50% chance of inheriting the disease. But in most cases of the disease, there is no family history. It is a new mutation that causes it. There are several tests doctors may do if you or your child are showing symptoms of tuberous sclerosis. They may do a CT scan or MRI of the head to look for tumors in the brain. They may do a CT scan of your chest or an echocardiogram of your heart to look for tumors. They may also do an ultrasound of the kidneys. Sometimes your doctor might perform an ultraviolet light examination of your skin. This helps identify the white spots on the skin that can come with tuberous sclerosis. It is possible to diagnose the disease in an infant, especially one with benign heart tumors or seizures. But many times, children aren’t diagnosed until they are older and other symptoms start to appear. Can tuberous sclerosis be prevented or avoided? There is no known way to prevent or avoid getting tuberous sclerosis. If you have a family history of the disease and you want to have children, talk to your family doctor. He or she can refer you to a genetic counselor or medical geneticist. These specialists in genetics can help you decide what to do. Medicine can help control some seizures. Some children may need surgery on their brain to help with seizures. Small growths on the face can be removed with laser treatment, though they do tend to come back. 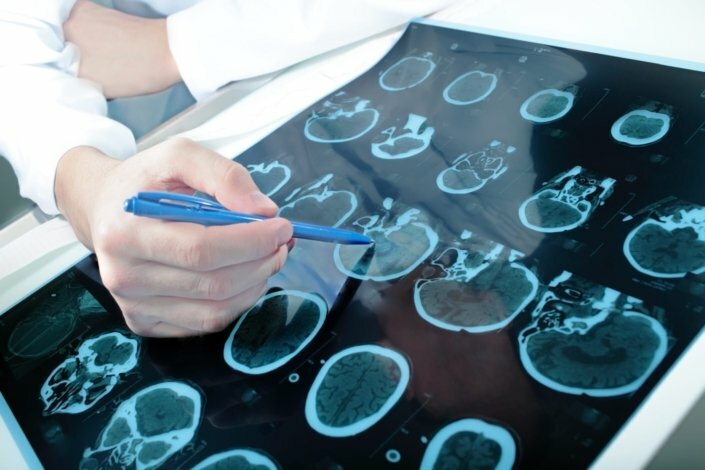 Brain tumors can be treated with medicine. Kidney tumors often are treated with surgery. If your child has developmental problems, occupational therapy can help. If they have an intellectual disability, they may need special education. Tuberous sclerosis is a lifelong condition. Many people who have it live a normal life. Their symptoms are mild or can be treated by their doctor. If symptoms are more severe, the disease can have more of an impact on your life. Children who have uncontrollable seizures or a severe mental disability may need assistance for the rest of their lives. Anyone who has tuberous sclerosis is at higher risk of developing complications related to brain tumors or kidney lesions. That is why it is important to see your doctor regularly. He or she can help monitor your symptoms and catch complications early. My child is having seizures. Does he or she have tuberous sclerosis? Can my child’s tuberous sclerosis be treated with surgery? Are there any medicines that can make my child better? I have one child who has tuberous sclerosis. If I have another baby, will he or she have tuberous sclerosis, too? My child has seizures related to tuberous sclerosis. What other common symptoms should I watch for? Will my child have intellectual disabilities?